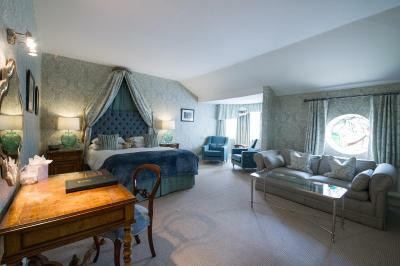 Lock in a great price for George Hotel – rated 8.8 by recent guests! A hotel of great character set in s place of beauty. Very high standards in all area. Great service from very friendly staff. Great location. Friendly staff and exceptional food. Lovely clean room, the bathroom had a great shower , nice bed.. The food was delicious and to a very high standard. The staff were friendly and helpful. Good breakfast. Comfy bed. Bottled water good. Lovely bathroom but no handles by bath. Well cleaned. Everything! Hard to find fault with The George. Congratulations to the staff, service was superb. Quiet, comfortable room with very good facilities. Breakfast one of the best we've enjoyed anywhere. In general, the decor and furniture was pleasing. The staff were very pleasant and helpful. The room was clean and the bed linen comfortable. Also plenty of hot water. We were shown to our room which was very nice. Good single room with excellent brand new bathroom. I especially liked the fact there was a bath. Staff were helpful and very courteous. Good features within the room, consistent with pricing. Breakfast was absolutely of an excellent standard. It is clear the hotel uses high quality ingredients. Hotel offered me a table for dinner the night before by email, which was a nice touch. 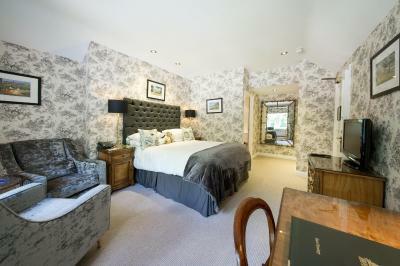 Upon check-out I saw some of the double rooms being cleaned, decor looked great. Location of the hotel is excellent to access all local facilities. Delicious breakfast was included. You can also have dinner, train station close by, single room is fine for one person although the bed is small, very nice bathroom. Enjoyed the lounge and fire after a wet and cold walk. Coffee and drinks went down well. As always the breakfast was excellent. George Hotel This rating is a reflection of how the property compares to the industry standard when it comes to price, facilities and services available. It's based on a self-evaluation by the property. Use this rating to help choose your stay! 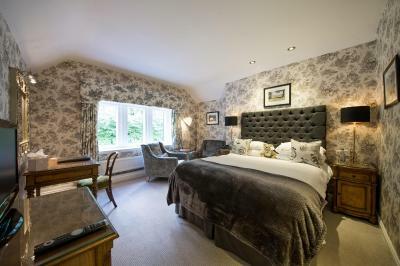 One of our top picks in Hathersage.Located in the picturesque village of Hathersage, 10 miles from Sheffield, The George Hotel offers free WiFi. The restaurant has won an AA Two Rosette award. 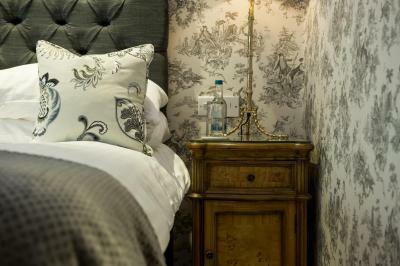 Formerly a 500-year-old inn, this Derbyshire hotel in the heart of the Peak District offers rooms featuring contemporary décor, with a seating area and TV, and private bathroom with complimentary toiletries. Guests can enjoy a full English breakfast each morning and award-winning cuisine by chef Helen Prine in the on-site restaurant. George Hotel is 11 miles from Sheffield. National Trust - Lyme Park, House and Garden is 20.6 miles from the hotel, and guests can visit the Ladybower Reservoir within a 10-minute drive. When would you like to stay at George Hotel? This single room comes with a private bathroom, satellite TV, free Wi-Fi and tea/coffee making facilities. Some single rooms are located overlooking the rear of the hotel (please request these on booking - subject to availability); those on the front of the hotel feature secondary double glazing. This double room comes with a private bathroom, satellite TV, free Wi-Fi and tea/coffee making facilities. 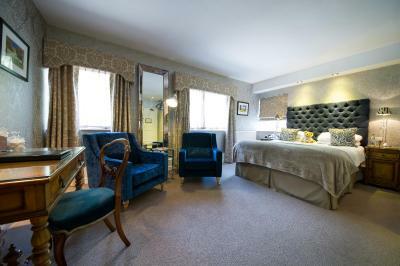 Some double rooms are located overlooking the rear of the hotel (please request these on booking - subject to availability); those on the front of the hotel feature secondary double glazing. This more spacious room has additional amenities including bathrobes and superior toiletries. 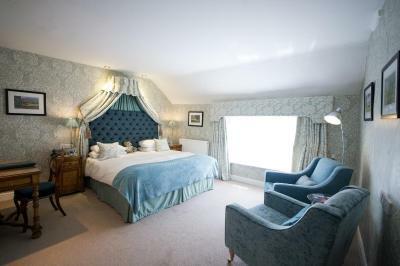 Large twin-bedded room with two single beds which can zip and link. 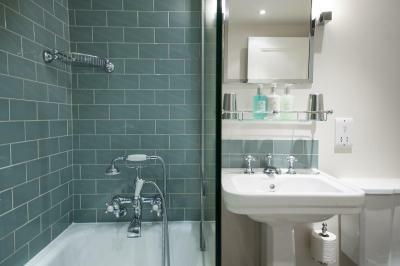 There is an private bathroom with bath and shower over bath. Features include a TV, tea and coffee making facilities, and a private bathroom with free toiletries. Ground-floor rooms at roadside level, some with bath and shower, some with walk-in shower only. Access requires use of stairs even though rooms are at ground floor level. Formerly a 500 year old inn, the George was purchased in 1998 by Eric Marsh and completely renovated into the contemporary design and style seen today. Still under the same ownership, the George is managed by Peak Leisure Management Ltd.
House Rules George Hotel takes special requests – add in the next step! George Hotel accepts these cards and reserves the right to temporarily hold an amount prior to arrival. It is recommended to book in advance should you wish to eat in the restaurant during your stay. You can use the Special Requests box when booking, or contact the property directly using the contact details provided in your confirmation. Dinner service very slow; over one hour wait for pre-starters. Does not have a cosy bar and is more of a upmarket restaurant. The room on booking.com is at ground level looking on to a busy main Road, so could not open windows (noise and car fumes) or blinds (privacy). Location, comfort and car parking. 5% service charge added to total bill is wrong. Booking clearly states that it is included and in my opinion should not be added to room rate. Very poor show. Standard room smaller than images on website. Needs somewhere to hang wet or muddy clothes. Breakfast was excellent. Location fab. Most staff really friendly especially short blond haired lass, she's a gem. Sorry I didn't get your name. It was the last room available on booking.com so I think it is the least appealing room and was a little small for us. The decor was good enough though. As it looked over the end of the car park entrance, there was an outside light on the hotel on all night which the curtains couldn’t keep out and annoyed me immensely. A black out blind would help as well as the curtains. The hot water was extremely hot which is both good and bad. Not managing the unfamiliar bath/shower controls led me to have very hot feet which could have been worse for someone else. I appreciate that warning signs are not aesthetically pleasing but something could mentioned by the staff perhaps on escorting us to our room. The mattress which was a good make- Hypnos- was not comfortable. And the microfibre pillows were uncomfortable bricks and need burning. Dinner was in a good setting and whilst it was nicely served and presented, The food itself could have been better for the style that was being offered and price. I always feel really mean when I criticise the food so I’m sorry but the combination of my main course was wrong. Chicken suet pudding, mashed potatoes and charred Savoy cabbage. Pudding was tasty, pots fine, cabbage just an uncooked lump with no colour and the gravy was VERY salty. I also dislike having to pay for extra vegetables to my main course. My husband’s steak wasn’t very good. My starter was very good. Breakfast was very good but slow. The bed was very comfy and we had a lovely rest. Staff are very friendly and extremely helpful, nothing was too much trouble. Enjoyed our stay very much. Very friendly staff. Nice comfortable bedroom. Good breakfast.